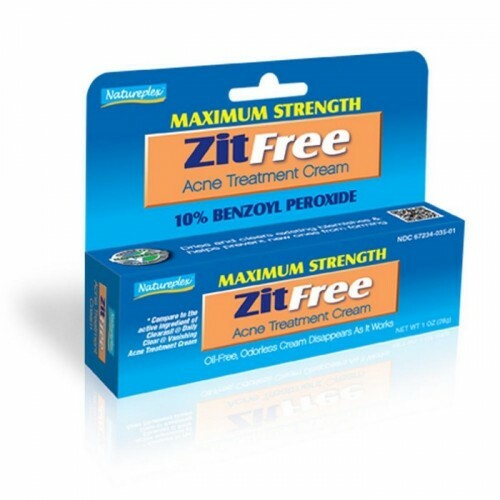 Maximum Strength 10% Benzoyl Peroxide ZitFree acne / spot treatment cream 1 oz (28g). Manufactured in the USA by Natureplex. Maximum Strength ZitFree acne treatment cream with 10% Benzoyl Peroxide uses micronized Benzoyl Peroxide and special non-emollients. 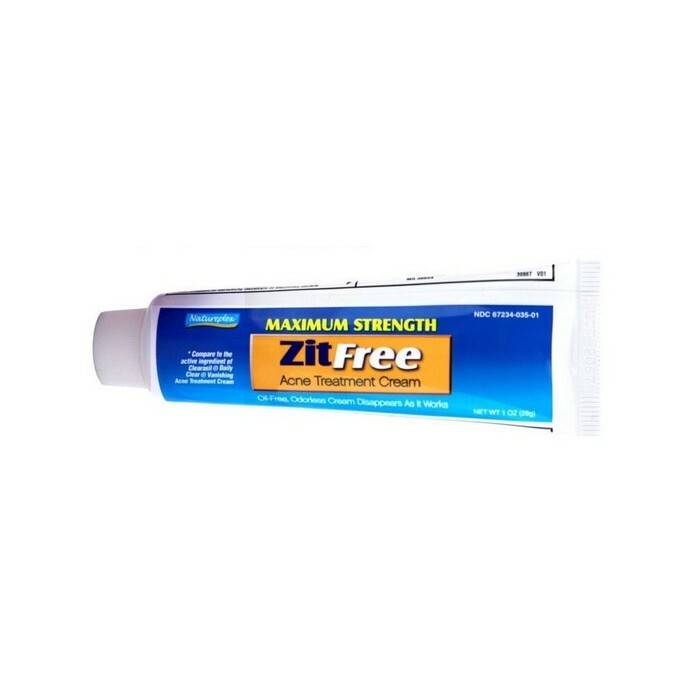 Maximum Strength ZitFree acne treatment cream helps prevent new pimples from forming and minimizes dryness and irritation while providing maximum measurable effectiveness. 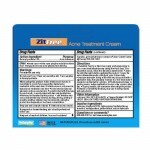 It is great for spot treatments of acne and clearing existing pimples. 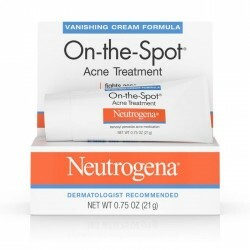 This powerful acne-fighting treatment dries up pimples and other skin blemishes. Sensitivity test for a new user. 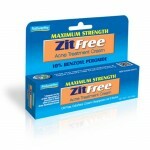 Apply product sparingly to one or two small affected areas during the first 3 days. If no discomfort occurs, follow the directions stated below. Cover the entire affected area with a thin layer up to 3 times daily. Because excessive drying of the skin may occur, start with 1 application daily, then gradually increase to 2 to 3 times daily if needed or as directed by a doctor. If going outside, use sunscreen after using this product. If irritation or sensitivity develops, stop use of both products and ask a doctor. 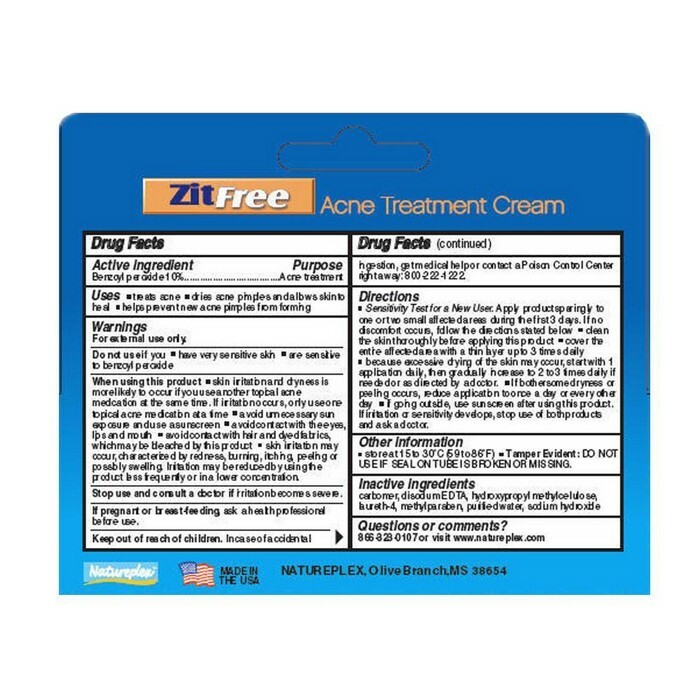 Do not use if you have very sensitive skin or are sensitive to Benzoyl Peroxide. Carbomer, Disodium EDTA, Hydroxypropyl Methylcellulose, Laureth-4, Methylparaben, Purified Water, Sodium Hydroxide.